It all comes down to the wall. Washington is on the brink of another government shutdown, with Democrats and Republicans sparring over funding President Donald Trump’s signature (and unfulfilled) campaign promise, with government funding set to expire on Dec. 7 at midnight. 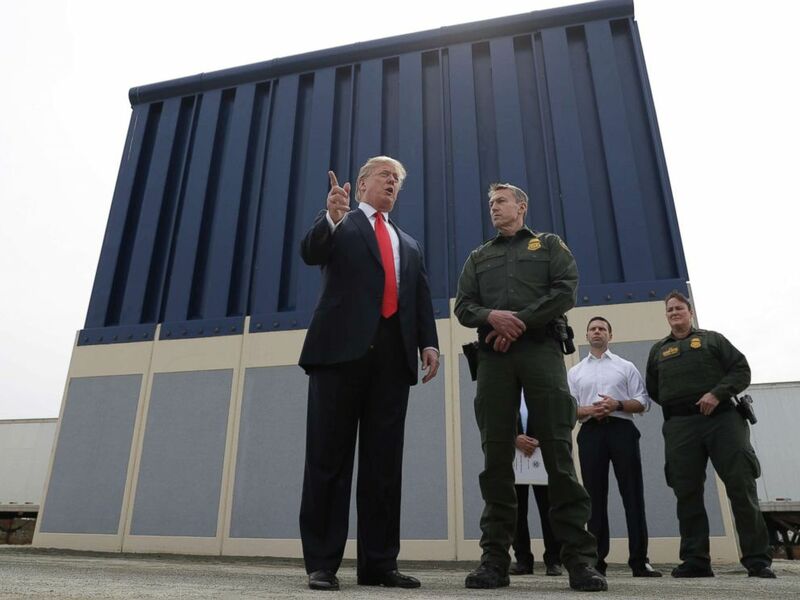 Trump wants $5 billion in funding to construct a wall on the U.S.-Mexico border as part of any agreement to sign a package of the remaining funding bills yet to be signed into law for the next fiscal year. Republicans leading the House and Senate support Trump’s aggressive push for funding. But they need Democrats to support the proposal in the Senate to pass the 60-vote threshold, complicating any funding negotiations. President Donald Trump speaks during a tour to review border wall prototypes, March 13, 2018, in San Diego, as Rodney Scott, the Border Patrol's San Diego sector chief, listens. On Thursday, Senate Minority Leader Chuck Schumer, D-New York, called on Trump to support a $1.6 billion border security compromise between Senate Republicans and Democrats, instead of the $5 billion figure Trump and House Republicans support. “It’s just what we’ve done in previous years -- funding for fencing on the border where experts say it makes the most sense. It would protect our border far more effectively and far more quickly than any wall,” Schumer said on the floor. 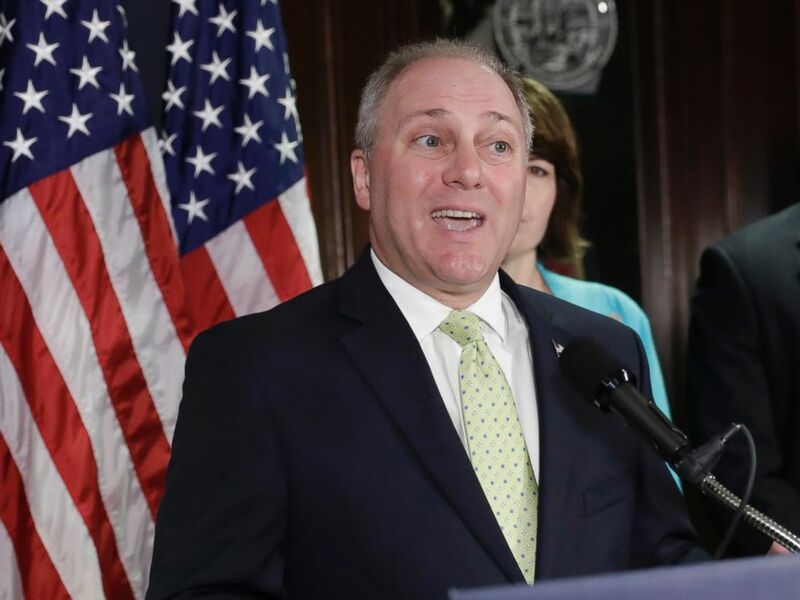 House Majority Whip Steve Scalise, R-Louisiana, predicted that Democrats would be blamed for any shutdown, though Trump has repeatedly threatened to shut down the government over wall funding. “The president ought to have the tools he needs to protect the border, and if Chuck Schumer wants to shut the government down because he’s not willing to secure America’s border, I think in the end that’s a failed strategy by him,” he told ABC News. House Majority Whip Steve Scalise speaks at Republican National Committee Headquarters on Capitol Hill in Washington, June 13, 2017. A shutdown would be the second of the year, following a three-day partial government shutdown last January over the status of hundreds of thousands of young undocumented immigrants known as Dreamers. Because Congress has already cleared five of the 12 annual spending bills, a shutdown would only impact certain government agencies and departments, including the departments of Commerce, Justice, Homeland Security, State and Agriculture. While essential government functions and employees would continue to work, a shutdown would impact tens of thousands of others, and slow down key government functions. If Congress can't agree on border security or wall funding, one solution being considered by lawmakers is a measure to fund the Department of Homeland Security at current levels through the fiscal year. But it's unclear if that would satisfy the president, who could see the chances of a border wall fade when Democrats take over the House in January.